This is just to say (yes, William Carlos Williams) that the ALA Annual Conference was an amazing experience. Here’s a rundown of the programs I attended; I’ll be typing up my notes from each and sharing a brief summary here over the next several days. Many thanks to Simmons College GSLIS and Don Wood at ALA for making it possible for me to go! As part of the Students to Staff program I also worked with some wonderful people at the Press Room and the @yourlibrary booth, checking in reporters and photographers and telling people about the Campaign for America’s Libraries, respectively. Monday of this week was the annual meeting of the Friends of the Somerville Public Library. There was a guest speaker, Kenneth Gloss, the proprietor of the Brattle Book Shop in Boston. I have been there once – last summer a friend and I made a project of visiting all the used book shops we could find in Boston and Cambridge – and can vouch that it is an excellent place to poke around. Gloss brought some “show and tell” objects: a 14th-century manuscript page (which has held up better than cheap novels printed much more recently); a cookbook from the 1790s that included a recipe for “how to cook eel, the common way”; and a facsimile of Poe’s Tamerlane. “Almost anything you can think of out there, people are interested,” he said. Does it have an intact dust jacket (for hardcovers)? Is it signed by the author? Is it an association copy? That is, has the author inscribed it to someone in particular? And for those who are wondering about how to store old books properly, a good rule of thumb is “if you’re comfortable, the books are comfortable” – it shouldn’t be too hot or too cold, too dry or too humid. Keep the books out of direct sunlight, and don’t pack them too tightly on the shelf (or so loosely that they lean over). For the book collectors out there, I also recommend Allison Hoover Bartlett’s excellent and enthralling The Man Who Loved Books Too Much: The True Story of a Thief, a Detective, and a World of Literary Obsession. 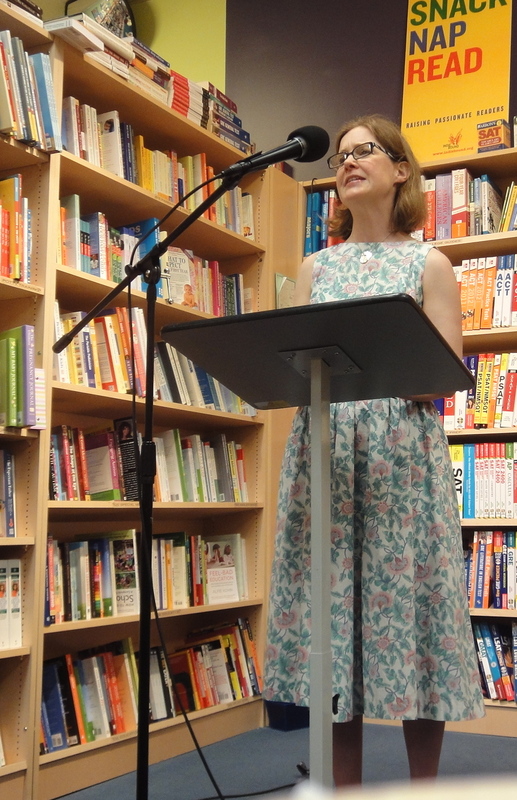 I got to see Ann Patchett read from her new novel, State of Wonder, last night at Porter Square Books. She is wonderful! Her other books include Bel Canto, The Patron Saint of Liars, Taft, The Magician’s Assistant, and Run (novels) and Truth & Beauty and What Now? (nonfiction). I highly recommend all of these. Happy reading! The Promising Pals end-of-year breakfast was on June 3. I didn’t realize what a huge program it was until I got there; every single student, 6th grade through 8th, has a Pal, and the program strongly emphasizes how important it is to come to the breakfast; students are disappointed if their Pals don’t show up. There were several speakers (including Mayor Menino!) and performers, and all of us “adults” got to meet our student pals. It’s a pretty incredible program – still going strong after 25 years, and impressively well organized. I’m glad I got involved.